As a first time participant as a co-captain at the recent CAST for Kids event at Hagg Lake, OR it was inspiring for me to see all the smiles on the kids faces. We loaded up the kids in our boat for a great day of fishing and laughter. One of the boys was nearly blind but could see the light reflecting on the water and also touched the fish and smelled the fish using his other senses. After he slayed his first fish, I noticed a big difference in his mood. He began to smile and move his head back and forth. He was getting what we like to call “fish fever” every time we caught another trout. 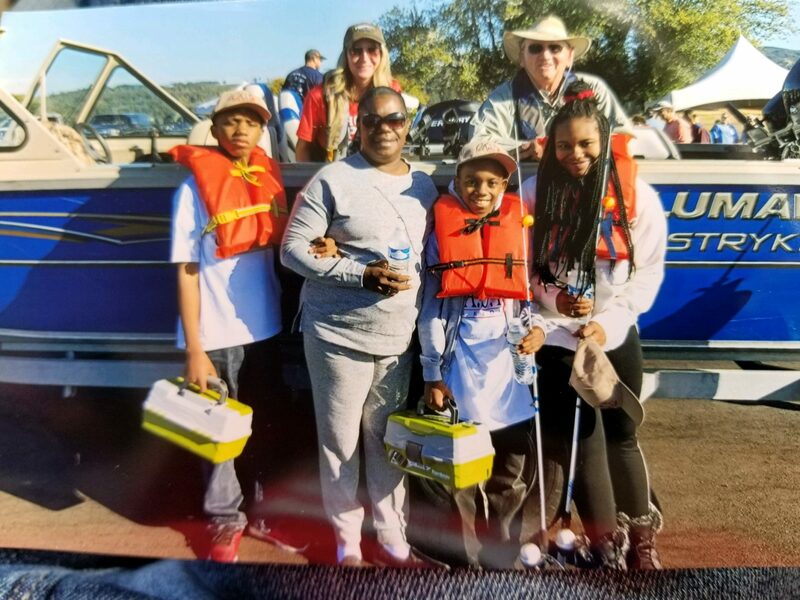 His brother and sister also had a blast and were able to use the Cadence fishing poles themselves which gave them a new found confidence. Their mom even got in on the action and bonked the trout before putting them in the cooler. All-in-all, it was an absolutely amazing day on the water. I was thrilled to be a part of it, and would highly recommend it to others to get involved. We even ended the boat ride on a high note with what we like to call the “Haag Lake Bath”, spraying the kids and their mom with water which everyone loved. Although I think I got the brunt end of it which the kids thought was funny, haha. After we unloaded everyone, their mom gave my dad, the boat captain, and I a big hug. She said this was the best event ever and they will be participating in it next year and will look for our boat, which was a true testament to the power and impact of the C.A.S.T. for Kids events. I would encourage you and your friends to get involved in upcoming events by volunteering or donating as it has a tremendous impact on a child’s life.